In today’s environment, there are a plethora of issues that can divide us. Healthcare, the economy, ice cream. Yes, even ice cream. Some folks are unwavering on their favorite style of frozen treat. While many like the simplicity of soft serve ice cream, others prefer the more traditional hard ice cream. But what makes each of these desserts unique? There are benefits to serving both styles of ice cream in various foodservice operations. Space, labor, and time can all play a factor in what type of ice cream is on the menu. To truly understand what sets each treat apart, we need to get a full taste. Let’s take a closer look at three main differences between soft serve and hard ice cream. According to the International Dairy Foods Association, the FDA sets the standard that ice cream must be at least 10% milkfat and 20% cream. Most hard ice cream contains about 10% to 18% milkfat. It also uses corn syrup or other sweeteners like sugar, air, and non-fat milk solids like proteins. Hard ice cream is more likely to contain other flavourings, like pieces of chocolate, fruit, nuts, and other sweets. Soft serve ice cream has a similar makeup but less milkfat, often 3% to 6%. The amount of air included is what sets soft serve apart from hard ice cream, as the higher air content gives it a lighter, fluffy texture. The ideal amount of air content is between 33% and 45% of the volume. This not only affects the taste but the texture as well. Ice cream starts as a liquid base that is pasteurized and homogenized to eliminate any harmful bacteria. Hard ice cream is then cooled and frozen, while blended and aerated, creating overrun, or the amount of air in the product. It is stored at about -15o Celsius. Soft serve is normally made using different forms of mixes, generally poured into a soft serve machine. There, the ice cream mix is churned and frozen at -4o Celsius, considerably warmer than hard ice cream. During freezing process, air is added, upping the overrun. The ice cream is then stored in the serving chamber of the soft serve machine at around 3o Celsius. This is where operators can show off their talents. Hard ice cream, normally packaged in large tubs and stored in display cases or coolers, is manually scooped into ice cream cones or bowls. Three scoops are generally the norm for a cone. If done correctly, the balancing act of scoops is something to behold. Soft serve ice cream, on the other hand, is created, stored and delivered using the same soft serve machine. Utilizing the proper twisting motion, an experienced professional can deliver a soft serve cone that is more a work of art than just a summertime dessert. Does your Mid-Atlantic foodservice operation have the right ice cream equipment for the summer? 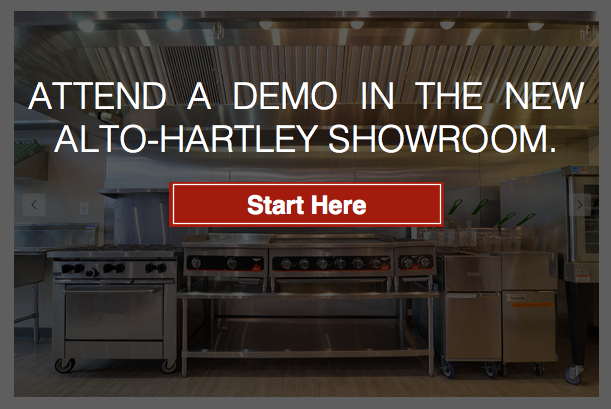 Get an up-close look at soft serve ice cream machines at a live demonstration in the Alto-Hartley showroom. Sign up and reserve your spot today.